Formation Zone clients TruVision VR who won the Start-up Business of the Year Award at this year’s Plymouth Herald Business Awards. 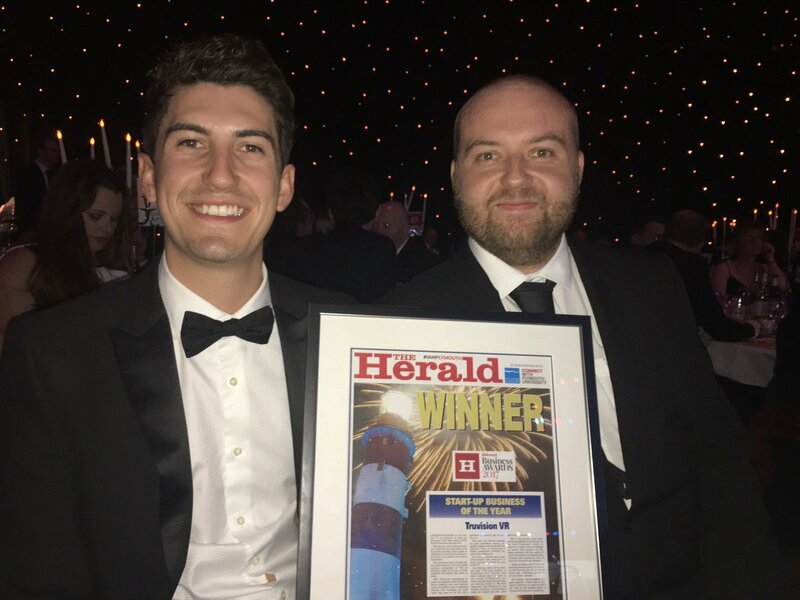 Congratulations to Formation Zone clients TruVision VR who won the Start-up Business of the Year Award at this year’s Plymouth Herald Business Awards. Run by Plymouth University graduates Connor and Gary, TruVision are a virtual reality studio providing high quality, quick turnaround and cost-effective VR solutions for the construction industry. They joined Formation Zone in January 2016 and the business has gone from strength to strength, with TruVision having produced VR models for HAB Housing, founded by Grand Designs Kevin McCloud, as well as VR experiences of buildings on the University campus. You can find out more about TruVision VR by visitnig their website.